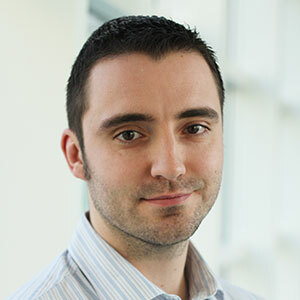 Andrew Pollard is the Science Area Leader of the Surface Technology Group and leads NPL's research into the structural and chemical characterisation of graphene and related 2D materials, with a focus on enabling industrial commercialisation in this area. This metrology research addresses the actual measurement of 2D materials with a range of surface characterisation techniques, such as Raman spectroscopy and tip-enhanced Raman spectroscopy (TERS), scanning probe microscopies (SPM), scanning electron microscopy (SEM), secondary ion mass spectrometry (SIMS) and X-ray photoelectron spectroscopy (XPS). Andrew is a member of the ISO working group 'Measurement and Characterisation' within the 'Nanotechnologies' Technical Committee (TC229), and a UK nominated expert for the international graphene standards currently in development in ISO/TC229 and IEC/TC113. As part of his role as the Industry Standardisation Leader at the NGMC, he is leading international standards within ISO/TC229, including the first published graphene ISO standard on terminology, and heavily engaged with companies around the world producing or using graphene. Andrew is also the lead author of the NPL Good Practice Guide 145 'Characterisation of the Structure of Graphene', in collaboration with the University of Manchester. Andrew is a Visiting Academic at the National Graphene Institute (NGI), the co-chair of the VAMAS Technical Working Area 'TWA 41: Graphene and Related 2D Materials', a Committee Member of the 'Materials and Characterisation' Group at the Institute of Physic (IOP)). Andrew is the recipient of the Royal Society of Chemistry's '2018 Rising Star in Industry Award'.